Do you currently pay any EMI? 21 Yrs. - 65 Yrs. For salaried individuals, timely and regular salary credit is important to get eligible for loan. Multiplier Method – Under this method, banks apply a multiplier to your net take home salary to calculate your loan amount eligibility. The multiplier applied is a function of your take home salary and company profile. Higher the salary and more reputed the company, higher is the multiplier and your loan eligibility. Generally, banks apply a multiplier of 9 to 22 and these multipliers are defined for different levels of salary and internal categorization of companies by the bank. Higher the category to which a company belongs, higher will be the loan amount eligibility and lower the personal loan rate of interest. Illustration: Mr. A has a monthly take home salary of Rs 40,000 with no other EMIs to pay. He works with a company which is a Category A company as per the bank. In this case, the bank applies the highest multiplier of 20 to calculate his loan amount eligibility. At a multiplier of 20, the loan amount Mr. A will be eligible for is Rs 8 Lakh (Rs 40,000*20). This means Mr. A can get a maximum amount of Rs. 8 Lakh from the bank. FOIR (Fixed Obligation Income Ratio) – Under this method, your loan amount eligibility is calculated on the basis of maximum EMI or monthly installments you can service with respect to net income after accounting for other fixed expenses such as rent and EMIs. Banks or NBFCs generally accept 50 – 75% of your net income as EMI, existing fixed obligations and credit card outstanding. If the obligations exceed bank’s norms, then bank will either reduce your loan amount or will increase the tenure of your loan. The bank calculates your eligibility such that fixed obligations (including the EMI for the new loan) do not exceed 50% of your income. This percentage can vary from lender to lender. For high income borrowers, this can range upto 65%. Illustration: Mr. A has a take home salary of Rs. 50,000 and he wants to take a personal loan. He has no other fixed obligations or EMIs to pay. The bank has a maximum FOIR requirement of 50% and hence, in this case will lend an amount where maximum EMI is restricted to Rs.25,000 (50% of Mr. A’s salary), which at the lowest rate of interest 10.75% and longest tenure of 5 years, translates in to a loan amount of Rs. 11.56 Lakh. Banks will calculate your eligibility under multiplier and FOIR method and will approve a loan amount which is lower of the loan eligibility calculated under the two methods. Total Monthly Cost – From Rs. 2,162 for a months Rs. 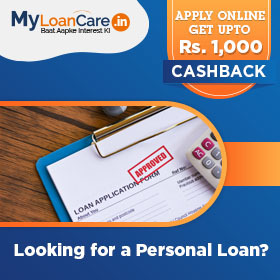 1 Lakh loan at 10.75% (lowest rate, longest time period) to Rs. 9,359 for a 12 months Rs. 1 Lakh loan at 22% (highest rate, shortest time period). This is inclusive of principal repayment. What is the personal loan eligibility for salaried employees? What should be the minimum and maximum age to get personal loan? The minimum age limit to apply for loan should be 21 years. Maximum age can go up to 60 years (salaried employees) and 65 years (self employed) at the time of loan maturity. However, age varies from bank to bank. How does my income determine my eligibility? Your monthly income to get personal loan should be at least Rs. 25,000. However, some banks give loans to individuals with salary less than Rs. 25,000. Banks also follow different limit to calculate the ratio of your fixed obligations to your monthly income. Suppose, your income is Rs. 30,000, then bank calculates your eligibility such that fixed obligations do not exceed 50% of your income. However, if your income is more than Rs. 40,000 per month, then banks will allow a higher fixed obligations to income ratio of 65%, which means that your fixed expenses (including rent and other EMIs) can be up to 65% of your income to be eligible for a loan from a bank. Higher the income, better are the chances to get high loan amount. Does company profile affect my eligibility for personal loan? Yes, company profile affects your loan eligibility. Good company profile and high salary increases your eligibility to get personal loan at low rate of interest. There are few banks which also offers loan to non-categorized companies employees but at high interest rates. Do my existing loan obligations affect loan eligibility? If you are already paying an EMI for any existing loan then your eligibility for the new loan applied will be comparatively low. 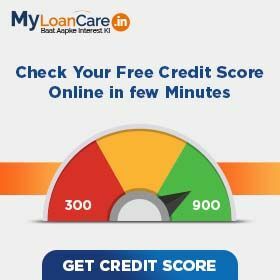 How can I improve my eligibility for personal loan?